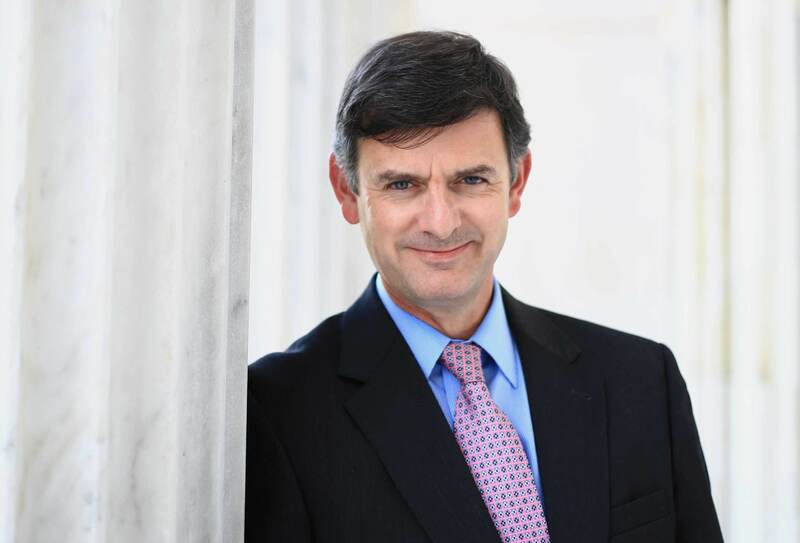 SALEM, MA — The Peabody Essex Museum (PEM) announced today that Brian Kennedy will become the next Rose-Marie and Eijk van Otterloo Director and CEO. Presently serving as the President, Director, and CEO of the Toledo Museum of Art (TMA) in Ohio, Kennedy will assume his new role at PEM on July 15, 2019. Kennedy takes the helm at a momentous juncture in PEM’s history as it prepares to open a new, 40,000-square-foot wing and undertakes a complete reinstallation of its galleries as part of the museum’s landmark $650M Connect Campaign. The museum initiated a hiring search in October 2018 following the retirement announcement of Dan Monroe, PEM’s Director and CEO for the last 25 years. Born in Dublin, Kennedy has held senior leadership positions at art museums around the world, including posts in Ireland, Australia, and the United States. Since 2010, Kennedy has served as the TMA’s President, Director, and CEO. He has overseen one of America’s great art collections and strengthened the museum through significant acquisitions, creative programing, and a holistic strategic plan to more deeply integrate the museum into the community. Kennedy has an abiding interest in perception, visual literacy, and how humans can become as conversant in the visual realm as we are in the textual realm: possessing the ability to read, understand, and write visual language. His interests in this area powerfully align with PEM’s international leadership in tapping the neurosciences to help design more powerful visual experiences. PEM’s mission, operating principles, and financial model combine to make it one of the most dynamic and progressive art museums in the nation. Fresh interpretive strategies, creative risk-taking, innovative exhibitions design, award-winning publications and programs, and service to large local, regional, national, and international audiences have all become hallmarks of the PEM experience, identity, and operating model. Kennedy studied art history and history at University College in Dublin, earning bachelor’s, master’s and doctoral degrees. He spent eight years as assistant director of the National Gallery of Ireland, Dublin (1989-1997) and seven years as director of the National Gallery of Australia (1997-2004) in Canberra. From 2005-2010, he was director of Dartmouth College’s Hood Museum of Art in Hanover, New Hampshire, which has one of the largest and finest art collections at an American college or university. Kennedy has in-depth experience leading museum campaign, expansion, and refurbishment projects. Kennedy is also a respected art historian, curator and author. He has written six books, most recently on the artists Sean Scully and Frank Stella. He is a past chair of the Irish Association of Art Historians (1996-97) and of the Council of Australian Art Museum Directors (2001-03). He was a trustee and treasurer of the Association of Art Museum Directors (2013-2016), and is peer reviewer for the American Association of Museums, and a member of the International Association of Art Critics. Since its founding in 1901, the Toledo Museum of Art has earned a global reputation for the quality of its collection, its innovative and extensive education programs, and its architecturally significant campus. More than 30,000 works of art represent American and European painting, the history of art in glass, ancient Greek, Roman, and Egyptian works, Asian and African art, medieval art, sculpture, decorative arts, graphic arts, and modern and contemporary art. To accommodate the ever-growing collection and demand for art education, the Museum campus has grown exponentially since its founding. From its humble first exhibition space in two rented rooms, the Museum has grown to cover approximately 36 acres with six buildings. And thanks to the benevolence of its founders, as well as the continued support of its members, the Toledo Museum of Art remains a privately-endowed, non-profit institution and opens its collection to the public—free of charge—six days a week, 309 days a year. For more information, visit toledomuseum.org.